Plant City Little League registration is still open and the league hopes to keep numbers climbing upward. It won’t be long before baseball and softball are back in action at Mike Sansone Park. 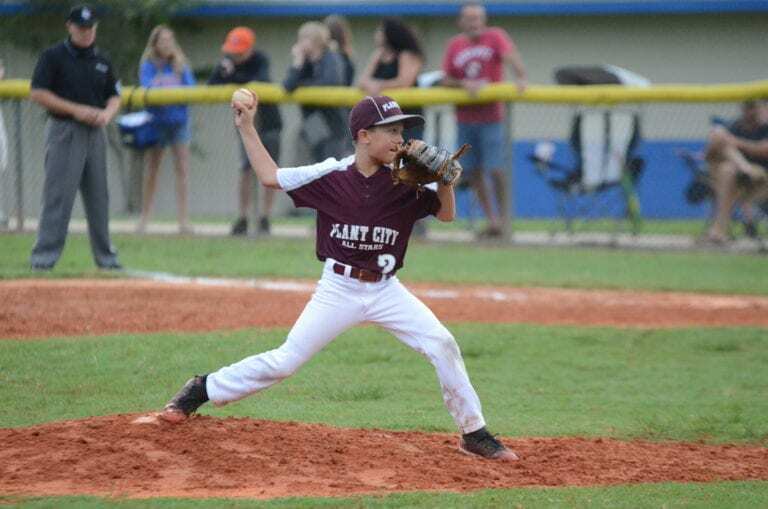 Plant City Little League’s 65th season is set to start next month and the league is hoping to see more kids sign up before registration closes this weekend. Approximately 470 players participated in PCLL in 2018 and 2017, according to president Johnie Goodson, and the league is hoping to keep its numbers increasing. “We’re just trying to get as many kids out there as we can,” Goodson said. Little League participation numbers nationwide have been on the decline this decade thanks to both rising costs and the surge in popularity of travel ball and alternative leagues with different rules. Plant City isn’t trying to be the next local town that dissolves its Little League to join Cal Ripken or other programs. One thing Goodson and PCLL want people who may be on the fence about registering their children to know is that the financials are more flexible than they appear. Little League as a whole — in Plant City and beyond — mandates that no player can be turned away because their families can’t pay. Goodson said PCLL will work with families to find scholarships, sponsors and other programs or ways to help cover costs in these situations. With baseball registration costs as high as $165 per child even before purchasing equipment, which could set parents back at least an extra $100, it’s not hard to see why paying could be a problem for some families. The league does keep some equipment on hand for instances where kids need it but otherwise may not have access to it. For example, when Little League switched to USA-style bats for safety reasons in 2018, PCLL bought about a dozen extra bats to have on hand so that no one would have to worry about using a non-compliant composite bat if they couldn’t get the new ones. Registration for Plant City Little League is open through Saturday. Online sign-ups at the PCLL website, eteamz.com/PlantCityLL, are open through Friday and the league will host an in-person registration session at its boardroom at the park from 9 a.m. to 12 p.m. Saturday. The cost varies by age group, ranging from $85 for tee-ball to $165 for minor, major, junior and senior baseball, and included in the cost is the mandatory $30 fee issued by the City of Plant City that is non-refundable. Siblings get a $20 discount. Tryouts are scheduled for 10 a.m. Jan. 26 and make-up tryouts will be held at 6 p.m. Jan. 28. Teams will be selected in the last week of January and Opening Day ceremonies are scheduled to start at 9 a.m. Feb. 23. Anyone looking to become a sponsor can contact Shannon Scott at sscott0408@aol.com.